A school learning environment can make a big difference in how well students do at school. 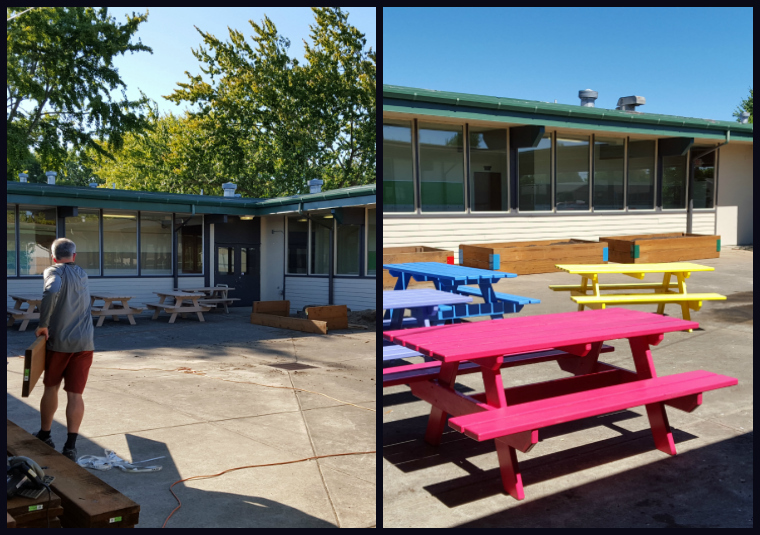 Last weekend, a group of volunteers that included Superintendent Jim Golden rolled up their sleeves to clean up the courtyard and paint new picnic tables at Lafayette Elementary School. Superintendent Golden said the goal was to make the space more welcoming to students. See the before and after pictures. Most schools in the Greater Albany School District were built before 1970 and are showing their age. Lafayette was built in 1960. See building ages for GAPS schools. 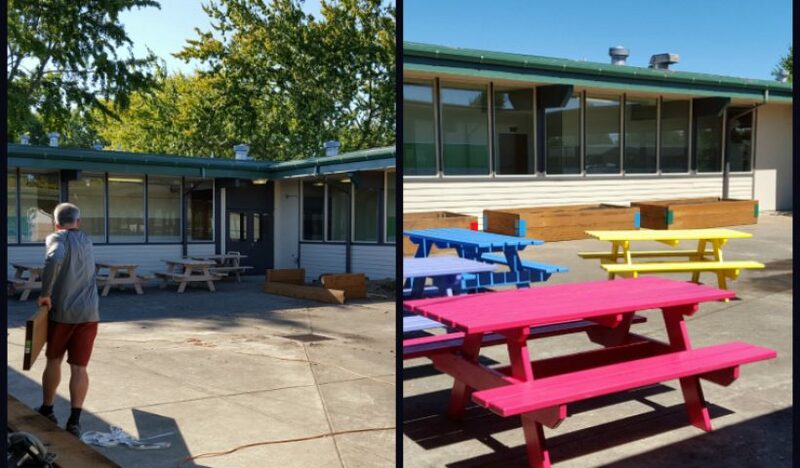 The School Board has been discussing a possible bond measure for next spring that would make maintenance improvements at existing schools and modernize learning space for today’s educational requirements. Community members will have a chance to hear about the plans and provide input at a series of community forums scheduled for October. See the District calendar for more information.